Welcome to Victoria Justice Archives, your most comprehensive source on the amazing Victoria Justice. Best known for her role as Lola Martinez in the television series, Zoey 101, Nickelodeon's Victorious where she starred as Tori Vega and released with the cast multiple albums and singles. Movies like The Boy Who Cried Werewolf, Fun Size, The First Time and critics favorite Naomi and Ely's No Kiss List. Site Update: Victoria Justice Archives Celebrates Victoria's Birthday & 1 Year Online! 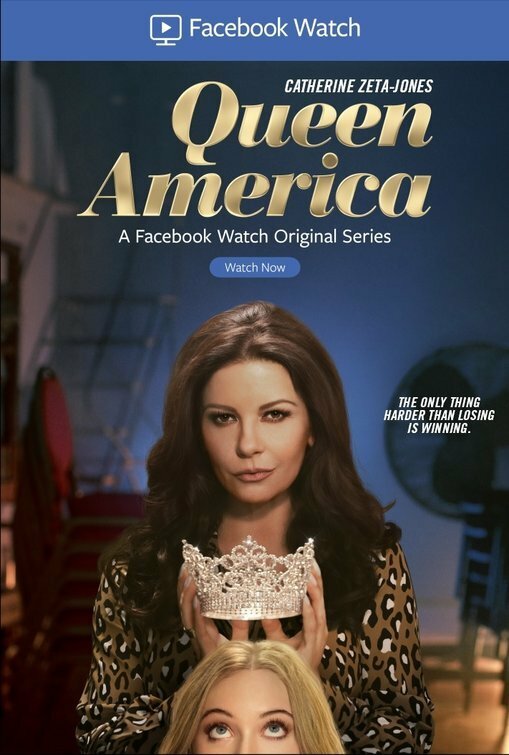 Set in Tulsa, Oklahoma, Queen America is a dark comedy about Vicki Ellis (Zeta-Jones), the most renowned (and ruthless) pageant coach in the state, and the hapless Samantha Cole who hopes Vicki can mold her into a worthwhile contender for the title of Miss America.